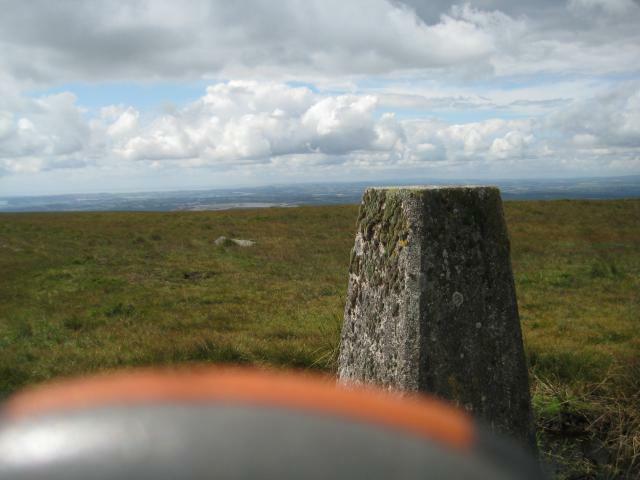 Nice remote feel to this trig. Bagged after the Penn Beacon pillar. 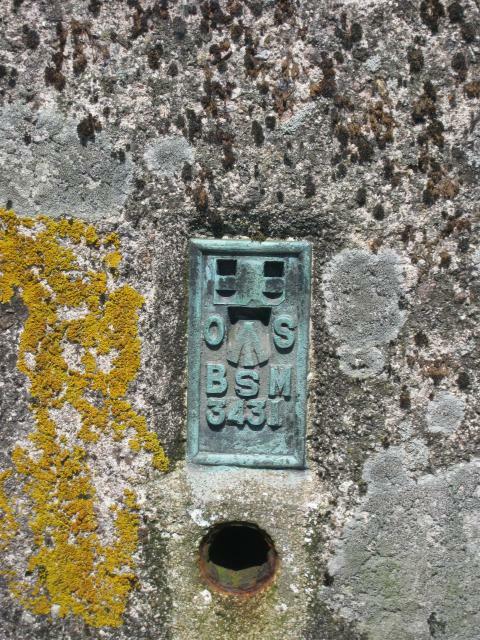 Foundations exposed; original cap retained, lightly indented lettering; BSM-style FB; all sight holes open. 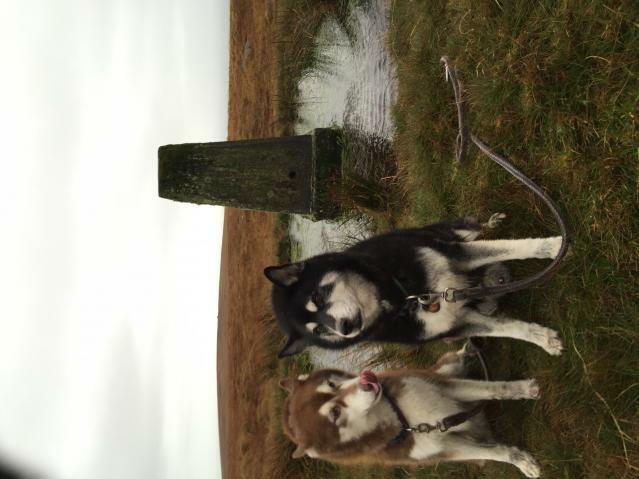 Misty moorland views. 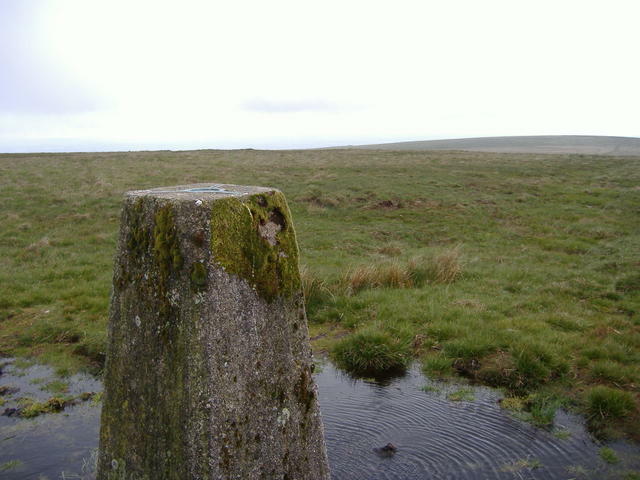 Destination on an early 6.5 mile round trip up from Cornwood via Penn Beacon. The pub was doing a special Easter Saturday breakfast on my return - num, num, num! 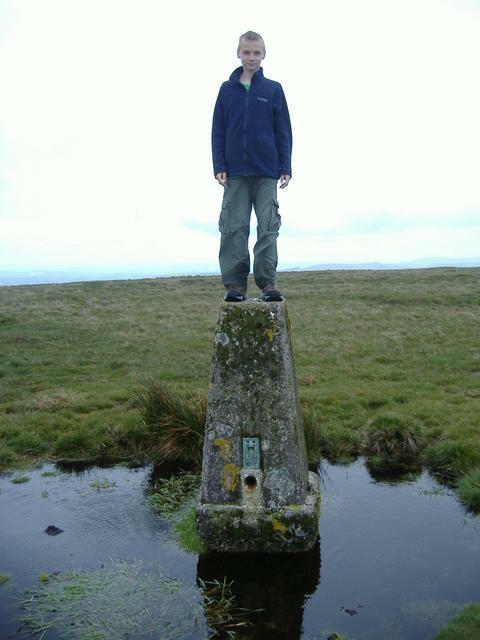 Great Trig in the middle of nowhere! Surrounded by a muddy moat which was sadly a watery grave for a pony. 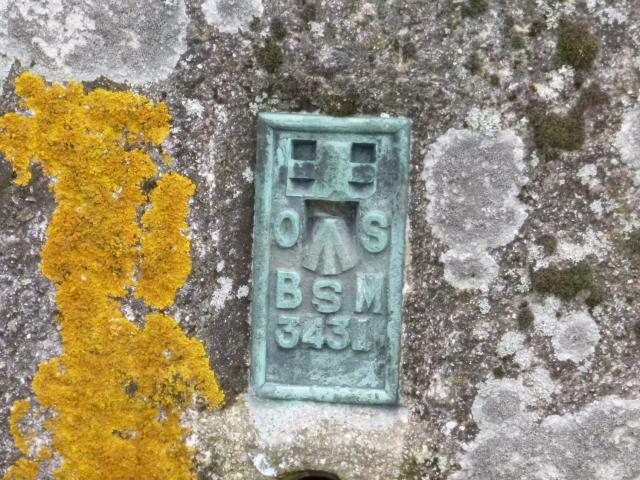 Still managed to fly this trig! 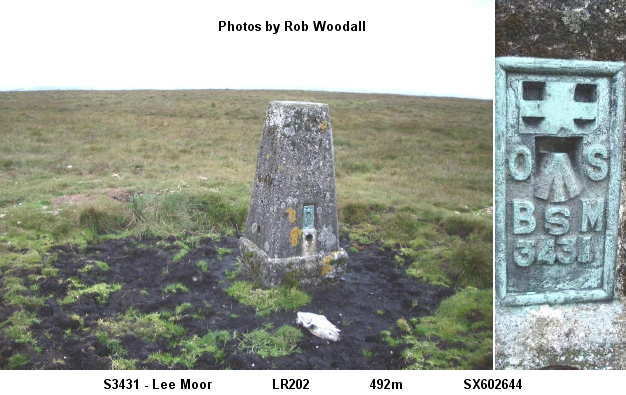 Set in dampish hollow in peat moor its concrete surface home to mosses and lichens. East wind, starting to rain. 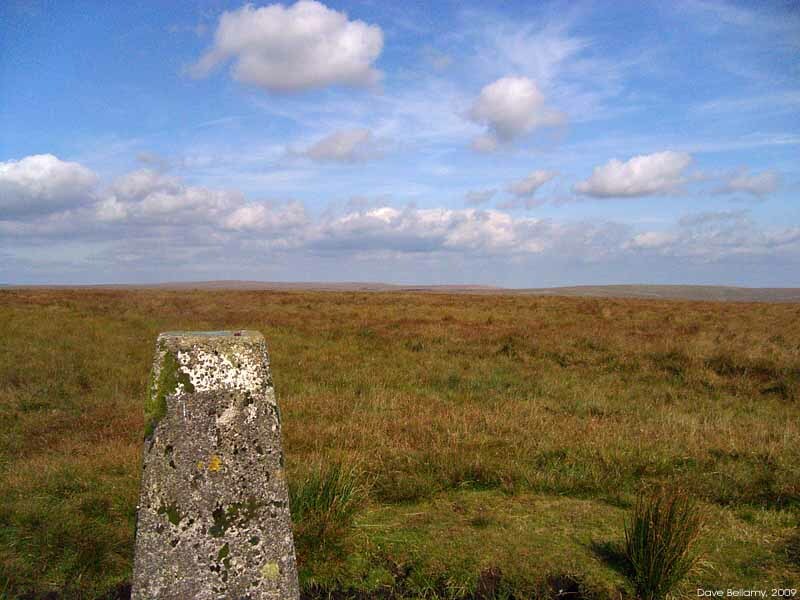 Moorland peat and grass very dry. 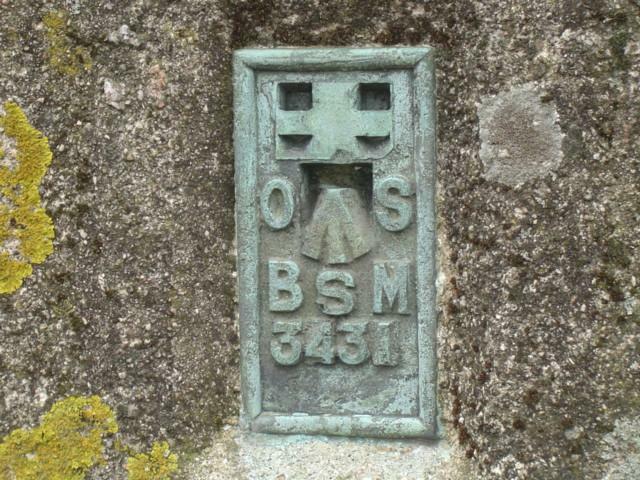 Called in again today on a letterbox/ geocache walk. Managed to avoid getting wet today, amazing location..
a beautiful day for a visit. 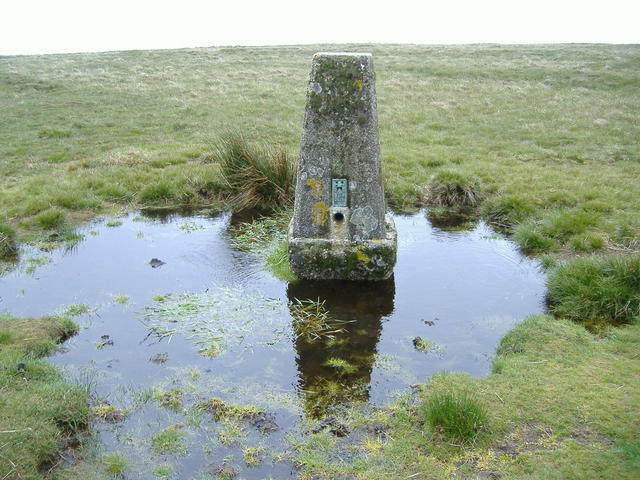 the concrete base of the trig is surrounded by water. 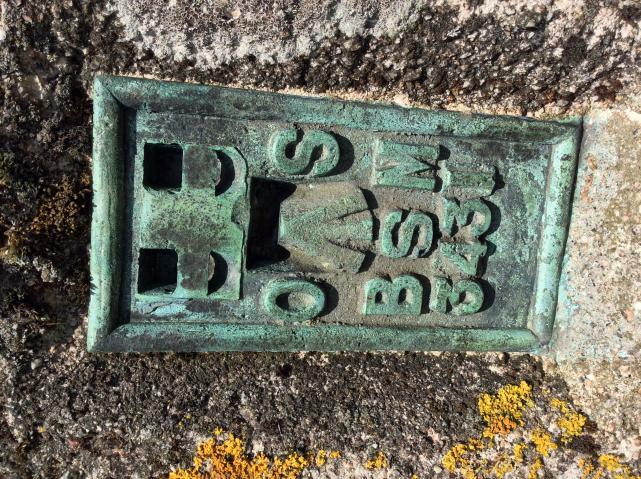 the pillar appears in good condition covered by several different lichens. 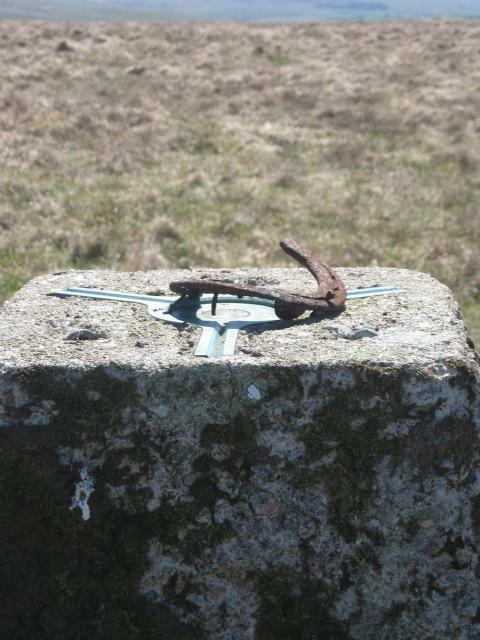 Managed to choose an excellent day to make the trek from Rook Gate up here for geocaches and the couple of trig points. 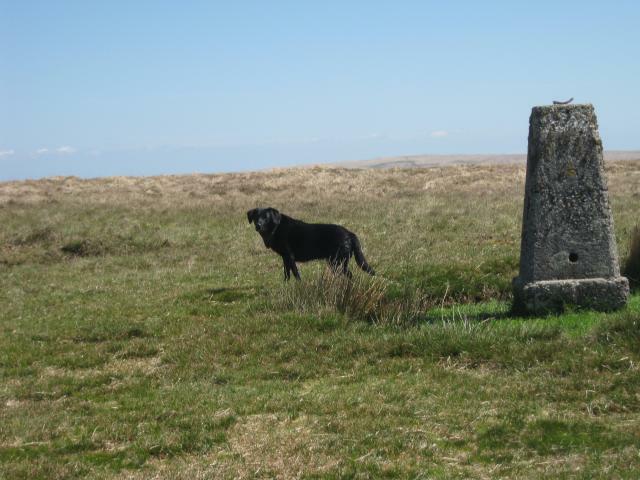 Difficult to mark scenery grade, depends if one likes the tranquility of Dartmoor! 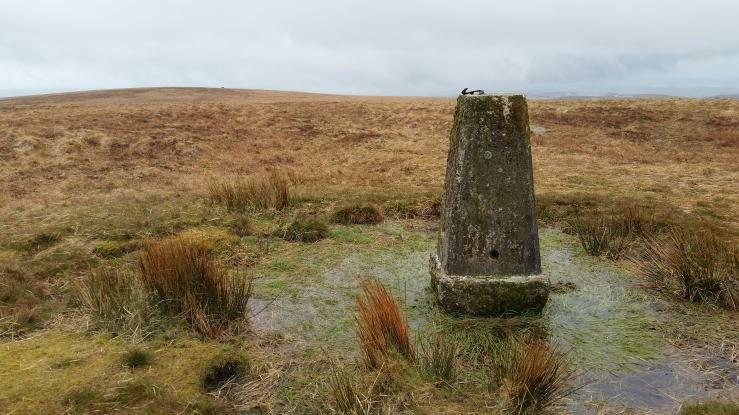 Typical moorland trig, about a mile from penn beacon along a good but very wet track. surrounded by a moat today. Pretty boggy all around. 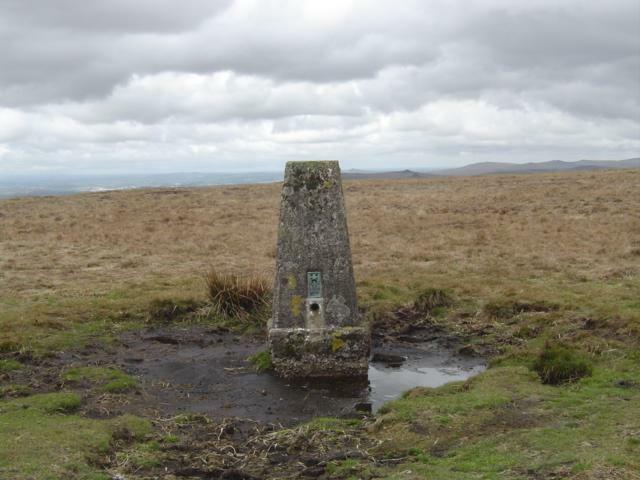 Difficult ground onwards to Hen Tor, long steep climb up from Cornwood. Good views to the south east... you can see the spoil heap at Redlake to the east. Reached here on same bleak morning as Penn Beacon bag. 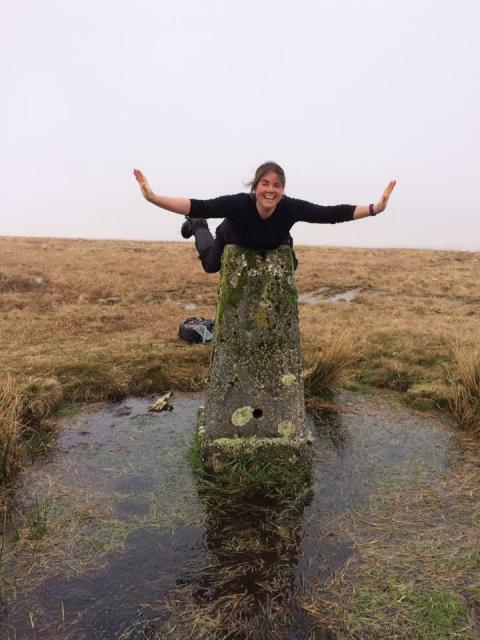 Again marked as if we could see normal great Dartmoor views! 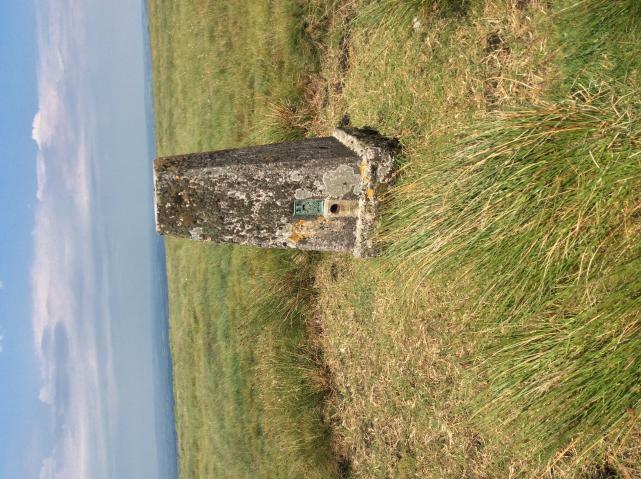 This trig followed Penn Beacon on an early morning run through the mist with Dart More. Rough and muddy terrain coupled with the very poor visabiltity resulted in Dart More slipping over several times in a very amusing fashion! Normally has good views but was hindered by mist. 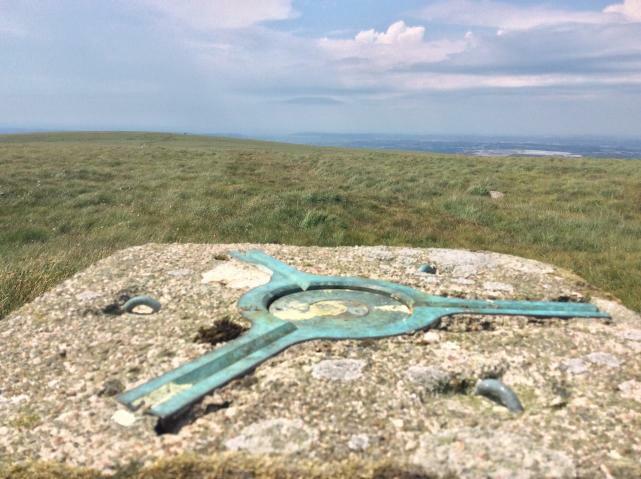 This trig is starting to look its age. The base is now very exposed and even has its own moat! 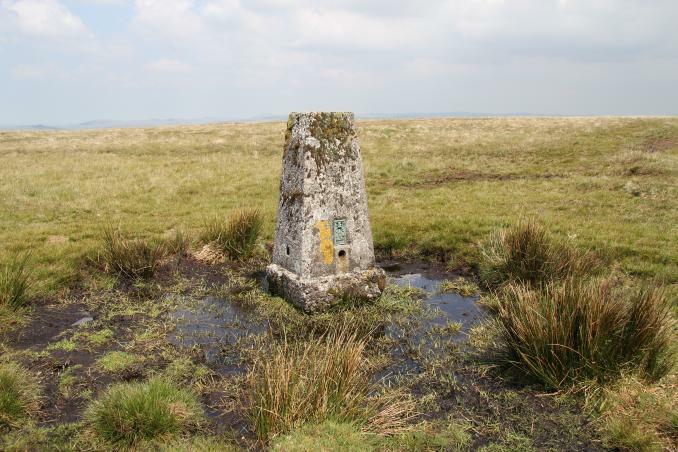 We came up from the SsW across Penn Moor, bagged Penn Beacon on the way back down. Peat erosion around base appears to be getting worse. Generally good condition with plug still in place. 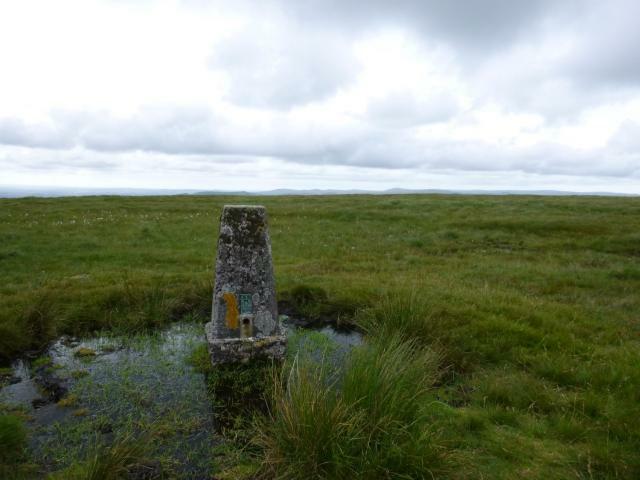 Good walk onto a remote part of the moors with great views all around. Stands in boggy area. 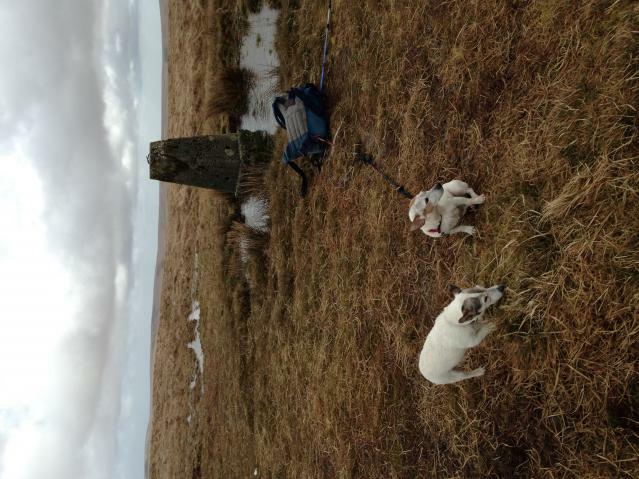 Bit of a walk & boggy area around trig.